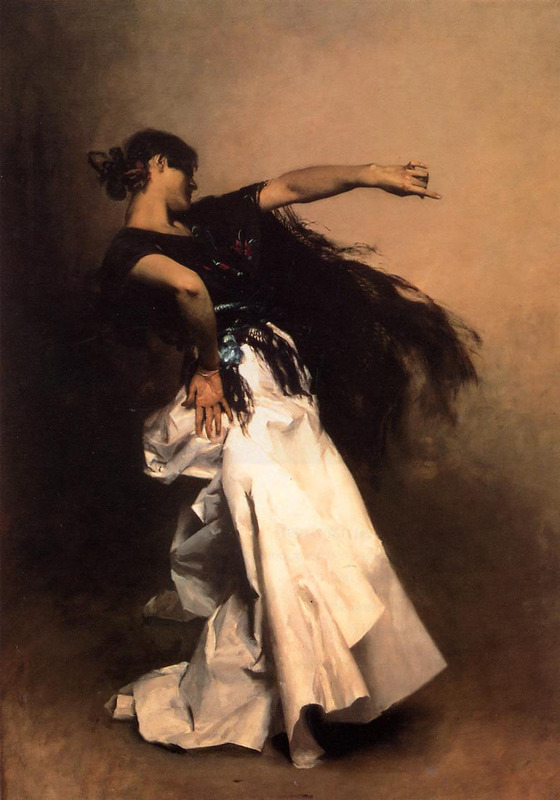 There are several aspects of flamenco that have bedeviled me since I first started studying the dance form a few years back. One of these is contratiempos. The other is the use of the castanets. Last week, I had the opportunity to tackle both in an intensive workshop with the Escuela de Flamenco Paulina Peralta in Costa Rica. Contratiempos is a way of playing with the “off” beat of a melody. It’s tricky because our natural tendency is to gravitate toward the beat of a song, not to the “off” beat. Understanding contratiempos is closely tied to the use of the castanets since both are, fundamentally, about the rhythms of flamenco. Right now, the castanets are not a part of you; they are something foreign, outside of yourself. In order to play the castanets, they have to become a part of you. We don’t often think explicitly in these terms, though I expect anyone who has studied music with a passion understands what Doña Paulina was saying. We might think of musicians as having “mastery” over their instrument, but it’s also reasonable to say that the musician and the instrument are a single entity. Neither is complete without the other. As things go in the long winding road of my mind, these reflections on the relationship between musician and instrument reminded me of an ongoing conversation we have in the context of science: the question of the investigator’s relationship to the subject of investigation. Many feminist scholars have dedicated themselves to understanding “objectification” in science. By separating ourselves from the study subject, controlling and manipulating it, scientists seek to understand it. And by understanding it, we come to control it further. This is not an inherent way of practicing science. In other words, it’s not the only way science can or is or should be done. Rather, objectification of the study subject is a result of a particular value of the dominant culture in which science has developed over the last 400 years. By separating ourselves from the other (in this case, nature), we come to understand and control it. How different this is from the proposition made by my flamenco teacher, that it is impossible to understand ‘the other’ until we let that ‘other’ become a part of us. Here, the idea of “control” is replaced by a principle of interaction. By becoming one with the castanets, understanding is reached and music is made. Many feminist argue that the influx of women into science has to some extent altered the culture of science. As anecdotal evidence, I like to look at the history of my own field, ecology. In the 1960s, when ecology was dominated by men, competition was considered the single most important organizing force of ecosystems. As women began to enter the field, they brought new perspectives, new questions, and even new ways of asking the old questions. Concurrent with this, we enjoyed an extraordinary expansion of our understanding of the natural world. By the time I began my graduate studies in the 1990s, the “hot topic” pendulum had swung from competition all the way to the other extreme, mutualism. At a recent conference, I saw a young woman ecologist point out that there are a variety of interactions now recognized as fundamentally important in shaping communities and ecosystems. Diversity of perspective has allowed us to better understand diversity itself. My students from the Native American and Pacific Islander Research Program often come from cultures that emphasize connection & interaction over objectification & control. As a result, they may find themselves at odds with the acculturation process of science, sometimes for reasons they don’t quite understand. As mentors and coordinators, we try to encourage our students not only to conserve their cultural values, but to allow those values to influence the way they practice science. Our time with them is a brief moment in their lifelong path, but one that I hope has a positive and lasting impact. Not only on them, but on the scientific endeavor as a whole. Connection and interaction are also important in the path to understanding. Who knows what we might discover, if we honor these values in all our endeavors? I’m going to close today with something fun: the interpretation of La Boda de Luis Alonzo by Lucero Tena and her castanets. (And yes, these two have been making music together for a wee bit more than 10 hours…) Please take a moment to watch this; she is really a phenomenal musician. I know you will enjoy the show. Amazing. And I cannot wait to see your skills in May!